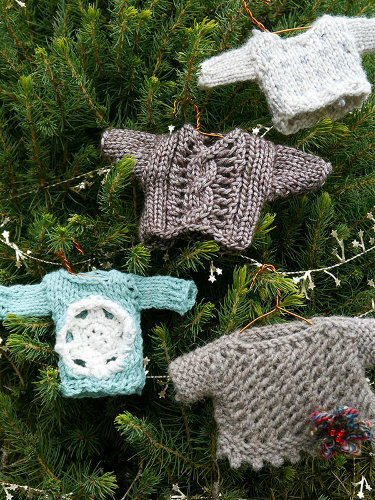 I don’t know how I missed these in my roundup of adorable little Christmas sweater ornaments for the tree, but Berroco released a pattern collection called Minutia that includes four adorable knit and crocheted mini sweater ornaments for the tree. If you’re sitting around this holiday looking for something to make, these little projects are great for scrap yarn and you can make them to hang on the tree for next year or give them to everyone who comes to the house for post-holiday festivities. Either way I hope you’re having a very merry Christmas!